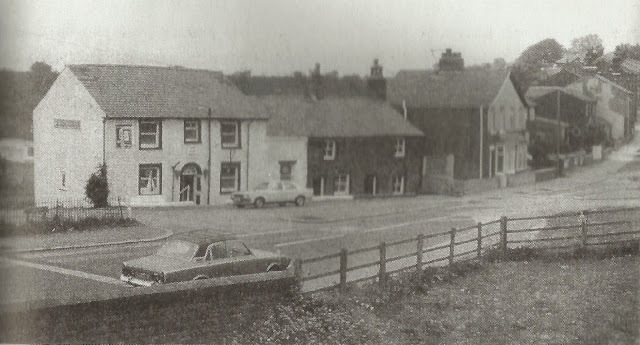 The Railway Inn first appeared in records around 1870 and was an Inn and Lodging House. 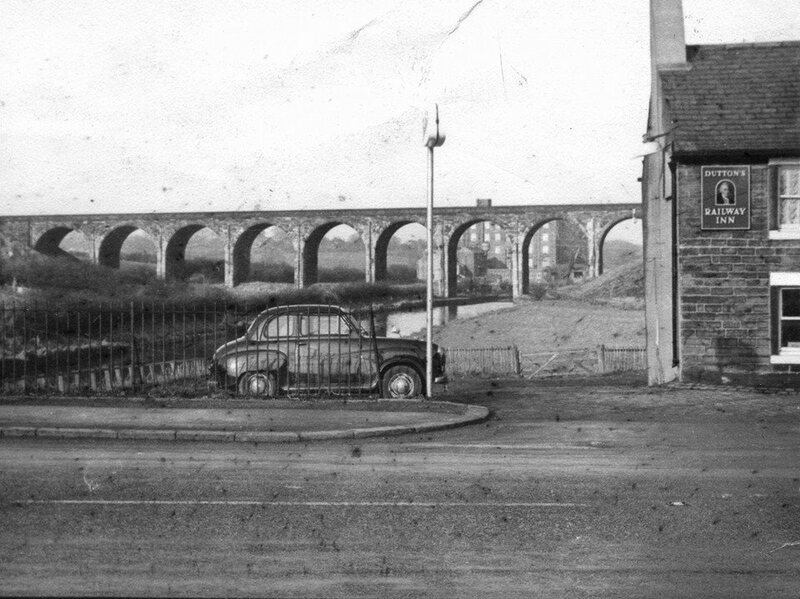 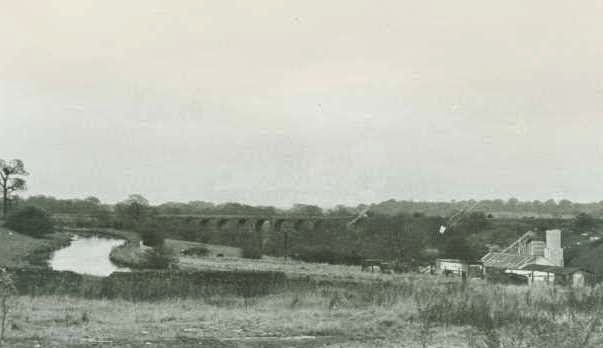 It was named after its association with the railways and particularly the line which crossed the Nine Arches Viaduct close by...this was demolished in the late 1960's to make way for the M61 motorway. 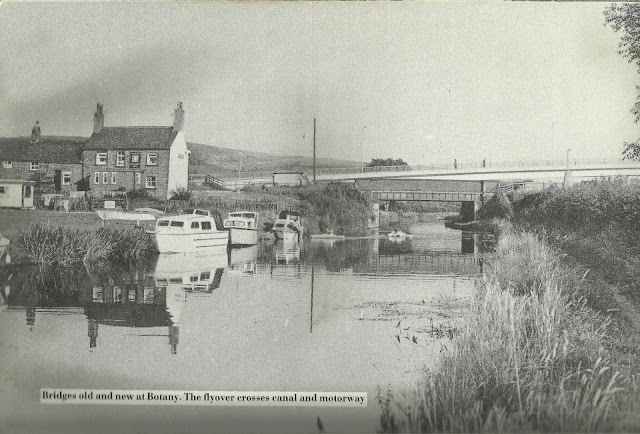 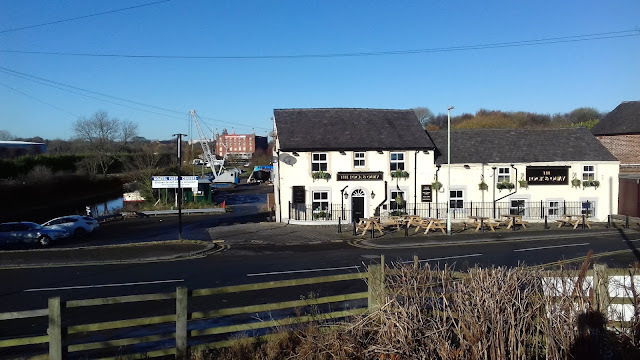 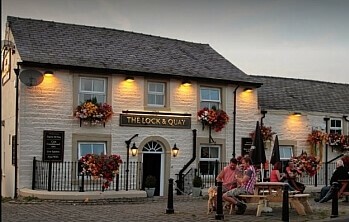 Whilst the Inn remains open to this day, it is now known as the Lock and Quay and is reportedly the oldest building in Botany. 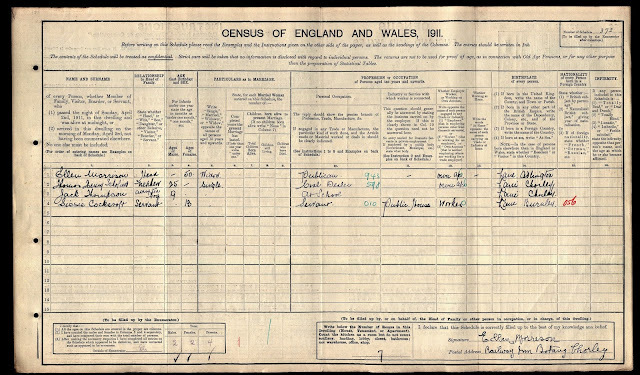 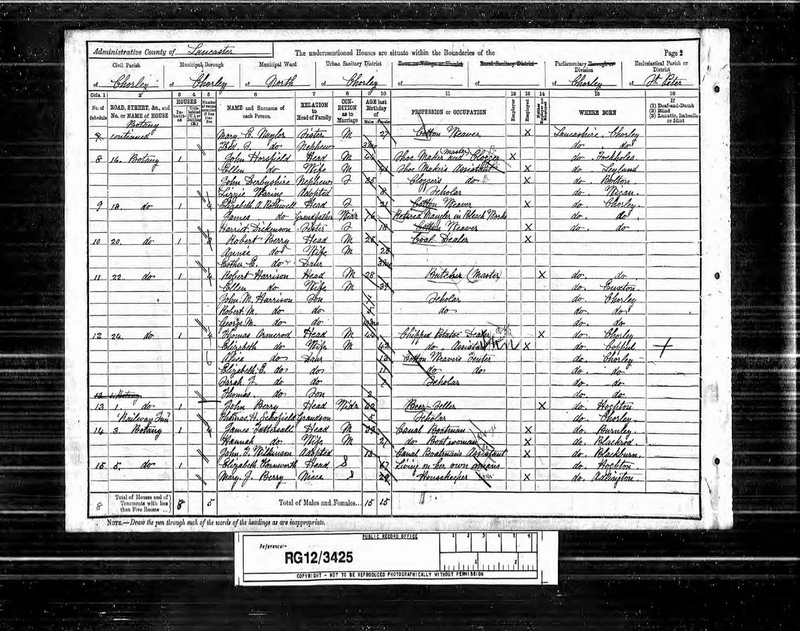 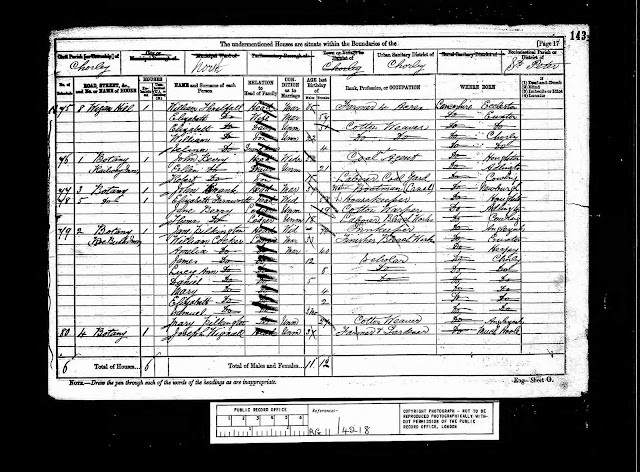 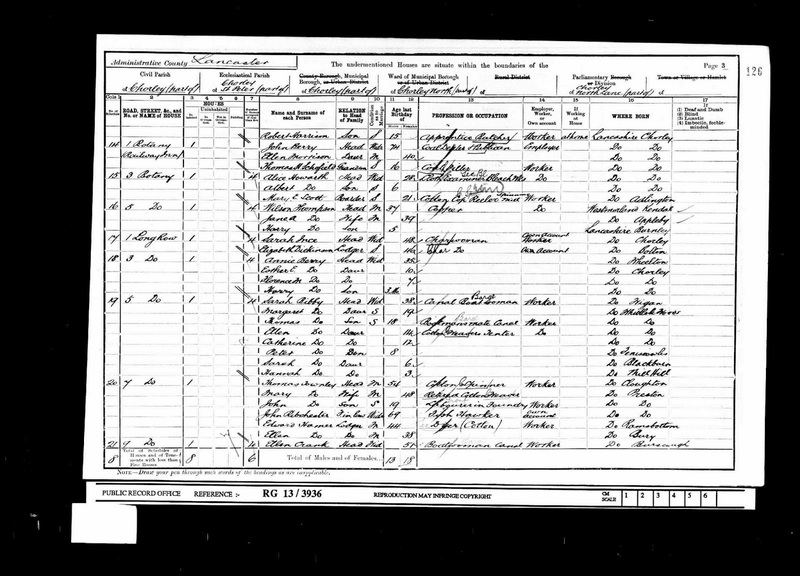 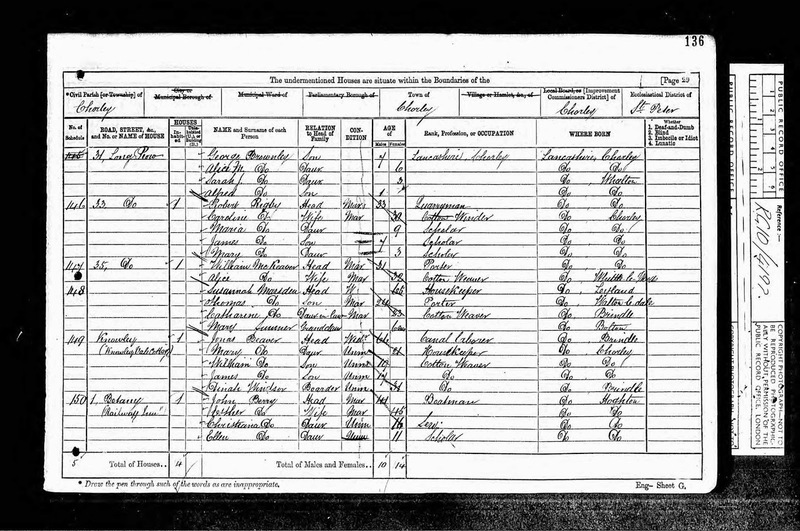 Listed landlords were John Berry (1871-1901), Ellen Morrison (1911) and John Gorton (1936). 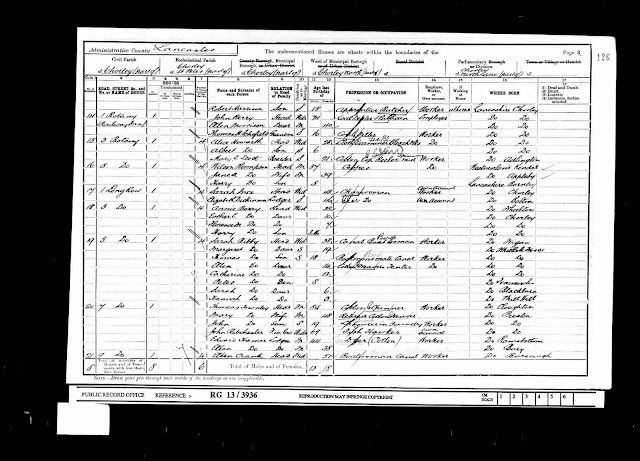 This was very much a family business as it stayed within the Berry family for in excess of 50 years...Ellen Morrison was the daughter of John Berry.